with the launch of Hexagon Marketplace. The announcement was made at the ongoing Hexagon Conference. 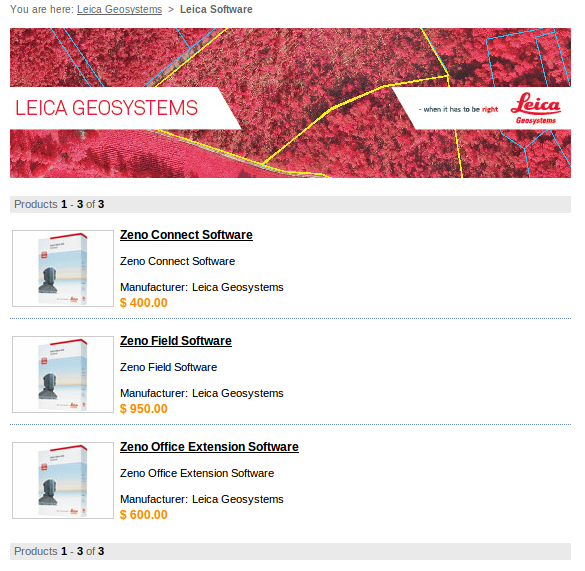 With this launch, major Hexagon offerings are now available online - hardware, software and training. Currently the store is limited to U.S. customers but it will be made available worldwide in a few months (See image below 'Note' at the end). 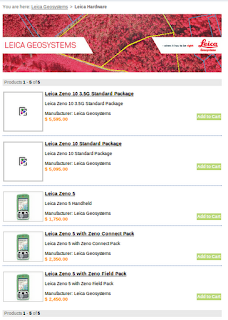 The store is divided into four sections - Intergraph PP&M, Intergraph SG&I, Leica Geosystems and Hexagon Conference. 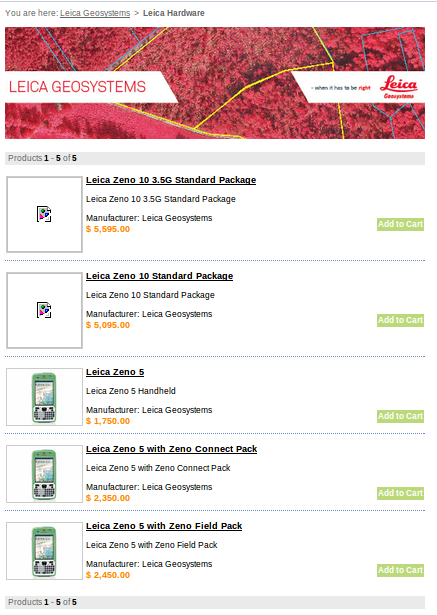 Shipping costs and taxes are charged over the prices quoted in the website. 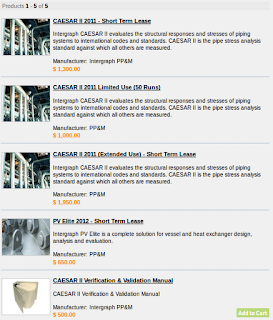 Five products - CAESAR II and PV Elite Software are on offer at Intergraph PP&M. 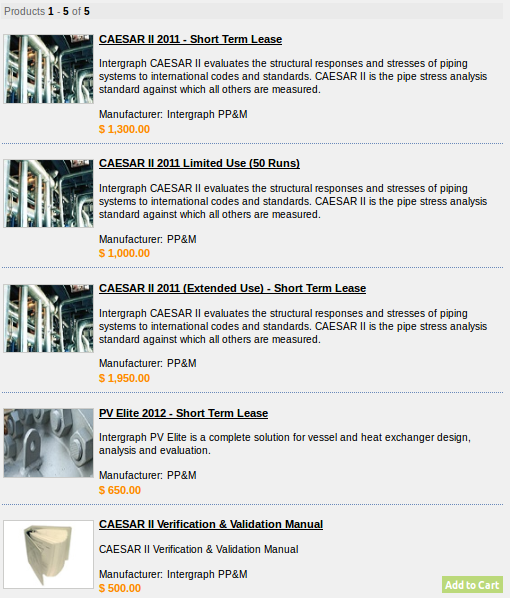 The order processing time is 5/10 days depending on the product. 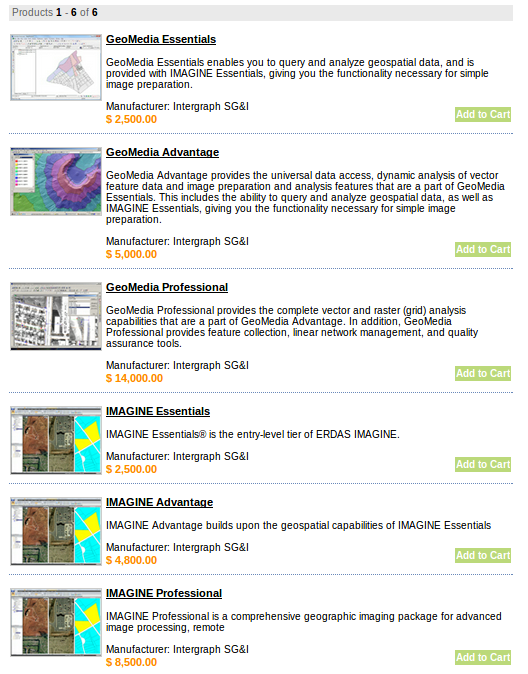 Geospatial products, GeoMedia and ERDAS are on offer here. Orders are processed in 10 days and no returns are allowed. 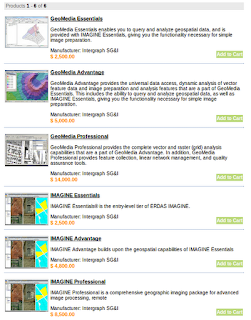 It may be observed that GeoMedia is now branded in line with ERDAS as GeoMedia Essentials, Advantage and Professional. 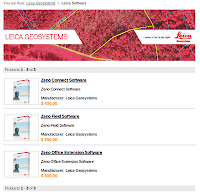 Under the Leica banner, software, hardware and accessories find a place. Offering screenshots are provided below (except accessories). Registrations are now open for Hexagon 2013 for $699. Event dates - 3-6 June, 2013 at Las Vegas, Nevada. The launch of Hexagon Markeplace can be regarded as a timely move which can go a big way in capturing the market share for Hexagon. Selling software online is not totally new but for a company of Hexagon's nature, a dedicated online store is a big wise move. The worldwide launch which can happen anytime will certainly lead rivals companies to take stock of situation. One day all leading geo-segment players may start selling their products online through dedicated e-stores which will ultimately benefit end customers. 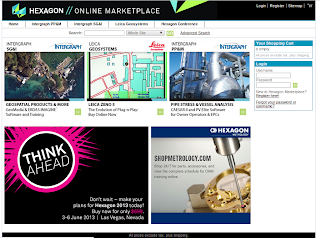 Earlier this year, Hexagon Metrology also got it's online store. Note: Hexagon Marketplace is currently open only for U.S. residents. If you try to access the site outside U.S. your visit will probably be limited to browsing the homepage. Due to this, I decided to place screenshots from the website for reference. As the screenshots are static in nature, the offerings may change anytime depending on several factors. Hence I request you to understand that all information provided here is only for informational purposes.